Editor's note: This is a guest contribution by Tom Limongello, CEO of Truffle. Back on a June Sunday night I was having dinner on the porch at Nick and Toni’s when my mom told me that Uber was banned in East Hampton. I thought, well, of course this happened. There aren’t enough people interested in becoming Uber drivers in an expensive resort community, so most drivers are coming all the way from the city. Celebrity freakout and driver DUI charges aside, the town’s case for the ban came down to complaints they had heard from riders who had gotten a whiff of the Uber vehicles that doubled as Hamptons hotel rooms for drivers. Yet, 2015 is also the summer in which New York City had to finally acknowledge that Uber had broken the borough barrier. The “DeBlasio's Uber” stunt from David Plouffe foiled DeBlasio’s attempts to paint Uber as a rich man’s ride, only for Manhattanites, and illustrated that Uber had done a better job than green taxis at making Brooklyn and Queens more accessible. Nate Silver's Five Thirty Eight however showed that the geographic growth into the five boroughs may have a limit if Uber does not somehow embrace different modes of transit. In a recent study entitled "Public Transit Should be Uber's New Best Friend" Silver drew a very high correlation between Uber and Taxi usage and attributed that correlation to the high cost of hailing cars versus riding subways and buses. Silver's distribution showed there were only 200 million combined cab and Uber rides last year while there were 9x more subway rides at 1.75 billion and 4x more bus rides at 800 million. The study also showed that Uber usage is highest in places where transit alternatives are already really good, making the case that the better other forms of transit are, the more likely one might hail an uber or taxi as a way to fill in the gaps. The Verge’s Casey Newton quoted Travis Kalanic saying earlier this Spring that “Uber will go places transit won't, and it will get you there more safely and more efficiently, and maybe it will even get you there as cheaply someday.” Still the question remains, how can a transportation service scale to cover the world’s disconnected travel spots, and not just dense metro areas? Transportation services are a lot like communication services and in this case the challenges go hand-in-hand, because the supply of cell towers is similar to the supply of drivers. If the average distance between residential and commercial buildings is far apart, then it’s more difficult and expensive to provide good coverage. Once you leave the five boroughs, Uber’s model, based solely on different sized and priced cars, starts to sputter. Even if we were to grant that Uber Pool and the newest enhancement, Smart Routes will be successful, cars and SUVs may not be enough when you try to leave a dense, city-setting. From the beginning, Uber had to incentivize drivers just to get them to head out to the Hamptons, and back then riders had to foot a flat $50 fee before the ride even got going. 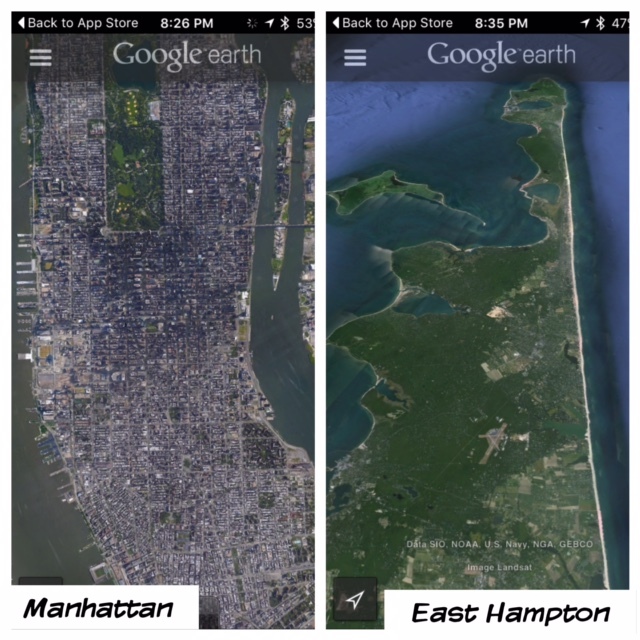 On top of that, most routes in the Hamptons were on the order of 10 miles rather than 10 city blocks. When demand spikes in a resort community it puts stress both on drivers, who have further to travel to meet riders, and riders who end up paying for very long, custom routes. Uber did serve a purpose in the Hamptons, even when it was still very expensive. I can remember once three years ago that I needed Uber despite its galactic pricing because I couldn’t rely on phone service to call a taxi from Jobs Lane in Bridgehampton... a street where houses range from $7-25MM. The old-school taxi companies in the Hamptons with their phone dispatching have had their own difficulties scaling which is why in parallel to Uber we saw crazy services crop up like Lilybug. Lilybug started as a guy on a scooter who rescued drunk people and their cars for 2x cab fare, and which actually made sense for riders because of the extra time you would waste having to call for two cabs for there-and-back; better to drive the sober half of the journey yourself. You might ask, why not just lean on Public transit? I’ll tell you. You can’t because it is woefully underfunded on Long Island as there aren’t enough annual passengers to make it cost efficient for the government to run it, not to mention the local taxpayers aren’t interested in paying for better services for tourists. So we have very few trains to the Hamptons, and that's why the L.I.R.R.’s ‘cannonball’ 4:07 Friday, the only direct train from Penn Station to the Hamptons, looks like a chardonnay-fueled battle royale sponsored by Lily Pulitzer, full of people who would otherwise be willing to pay more to opt-out of the madness, but for the traffic. That leaves one option…yes, I’m talking about the bus. Once you’ve made it all the way to the Hamptons, your travel woes aren’t over. The place you’re staying for the weekend is likely a dozen miles from the first of a few places where you want to go out for the evening. The good thing is, everyone is basically looking to go to the same few spots, so why not take a bus? At least that’s what Hamptons native Derek Kleinow of the Hampton Hopper thought when he started his service two years ago. 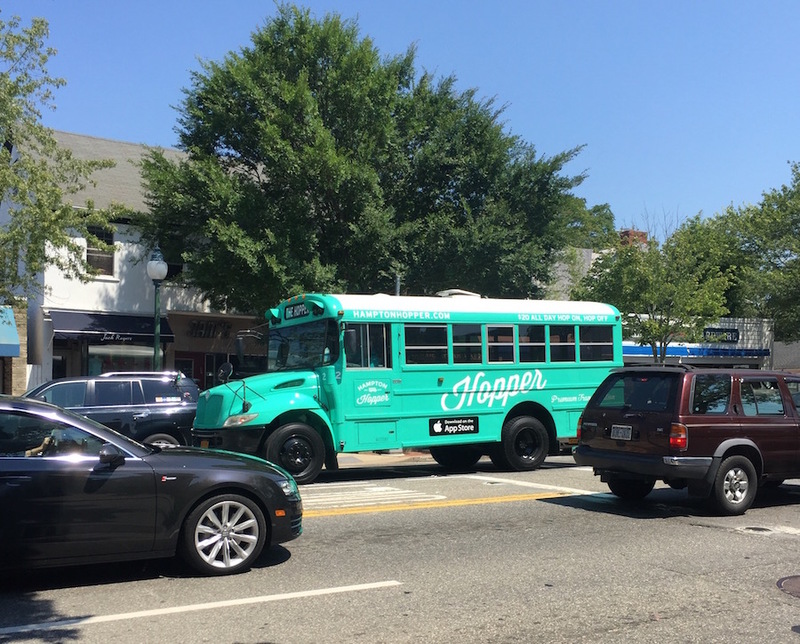 “The Hopper is a shuttle bus that has a GPS enabled app that shows you it’s location and that has in-app payments for passes or a subscription.” Kleinow learned the hard way that GPS location services and in-app payments on-the-fly really only work when mobile coverage is consistent. Kleinow would have been happy to just solve for mobile. Of course he couldn’t copy Uber’s model and get drivers to bring their own bus, but he had expected local school bus companies to be interested in the additional utilization during the summer months, but that didn’t work either. It has been a tough two summers, but Kleinow is starting to see regular riders and recognition from the town that his model has benefits if it can reduce the number of cars on the road and the need for village parking at night. As the on-demand transportation wars have heated up, the players have started to think beyond four wheels. Uber’s main competitor in China, Didi Kuaidi, has already ventured into bus service and judging from all the investment Uber and Didi have bet on winning China it doesn’t seem far fetched for buses to be a part of the global on-demand transportation portfolio going forward. Still, it does seem quite difficult to manage such a complex operation with an on-demand model. Bottom-line, Uber wants to vertically integrate technology with vehicles to be better than any other private or public transportation service. Fred Wilson, an investor in Veniam, a company which helps buses become mobile hot-spots, paints a different vision of the future, in which subscription, multi-modal transportation is the way to go. That future is more likely a networked proposition of many providers, public and private rather than a single vertically integrated company. Whatever the winning alchemy is, I want it. Maybe we have to wait until self-driving cars before it becomes easy enough to make Uber work outside of cities, but I hope not.